​​​SAN ANTONIO – Silver Ventures is putting the finishing touches on Cellars, its new ten-story luxury residential development. 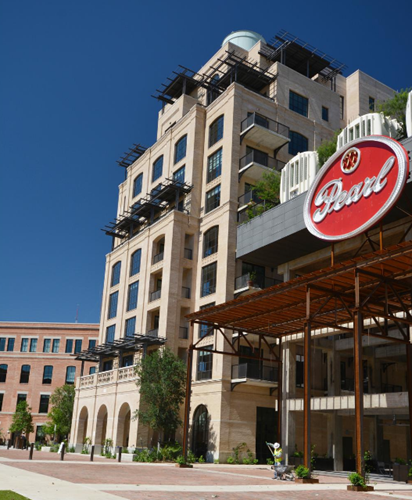 The luxury residence is located at the Pearl, a historic brewery site, bringing a higher end multifamily rental market to the city. The 122-unit development's monthly rental rates range from $1,830 for a single-bedroom apartment to penthouse spaces that are commanding more than $8,600. The list of amenities includes private dining space, specially curated art and a rooftop pool complete with cabanas crafted from portions of original brewery tanks.